Video installation using 2 synchronised video sequences each 10 minutes long, on 2 monitors. The upper monitor is suspended to face the lower monitor which is facing upwards. The drip appears to travel from the upper screen where it first appears, through space invisibly between montiors before falling on the screen below, gradually filling the screen. 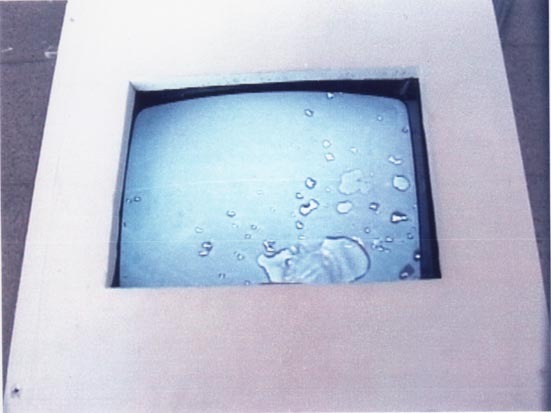 Plum's first installation using video, this marked a turning point in the focus of Plum's work as well as an expansion into multi-media work. 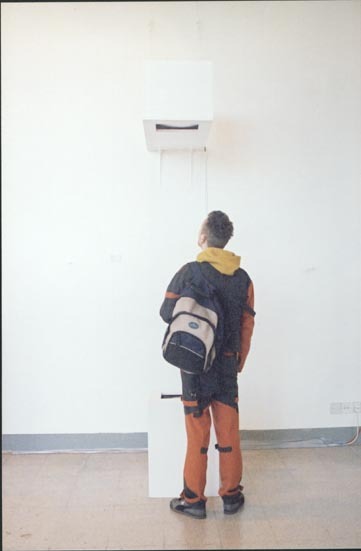 Exhibited at University Of Brighton Gallery 2002.